Cub players this year seem to get as many MRIs as RBIs …or at least it seems that way. The latest to visit the MRI booth was Derrek Lee today. Seems like he will join the ranks of the walking wounded that are not on the DL. 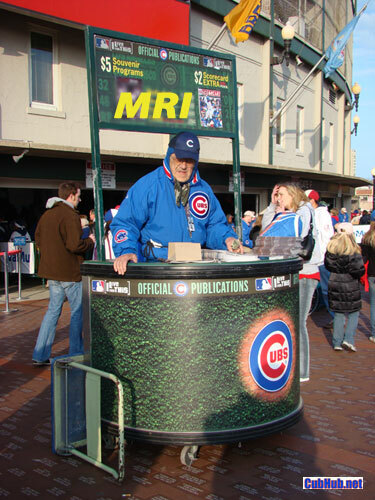 That’s a good thing, but still, I for one would like to have a piece of the MRI concession at Wrigley Field! "MRI! Get your MRI here!"